The Syrian Arab Army (SAA), the National Defense Forces (NDF) and the Syrian Social Nationalist Party (SSNP) is preparing for a full-scale ground offensive in the northern Homs region. The Al-Houla and Al-Rastan Plains are the first target of government forces. Since October 3, Syrian forces conducted a preparation fire on the militants’ positions at Al-Rastan and Talbieseh. The Syrian Al-Qaeda branch, Jabhat Al-Nusra, and its ally Free Syrian Army (FSA) hold the ground there. The ground offensive in northern Homs is supported by the Russian Air Force targeting the large concentration of Al Nusra militants inside this area. To the east of Homs, not far from Tudmur, a pair of Su-25M attack aircraft and a Su-24 bomber attacked two areas of concentration of ISIS military hardware. In total, about 20 T-55 tanks seized earlier from the Syrian army were destroyed. Detonation of the fuel and munitions caused multiple fires. One of the most important strategic mistakes of the Syrian headquarters in this war was that they conceded the existence of the numerous militants’ enclaves in the government-controlled territory. These encircled fortifications draw back the pro-government forces’ from the main frontline. If the Syrian forces take control of the Al-Houla and Al-Rastan Plains, Al Nusra militants will be locked inside the Al-Wa’er District of Homs City. It’s questionable that the SAA and its allies will be able to deliver the final blow to the terrorist there, in the fortified and mine studded residential areas. Nonetheless, it will allow the Assad’s government to release additinal military resources and capabilities for other areas. Meanwhile, ISIS launched a full-scale assault on the provincial capital of the Deir Ez-zour Governorate The Syrian Armed Forces’ positions at the Military Airport, the Al-Sina’a, Al-Haweeqa, Al-‘Amal Districts and the village of Al-Muri’iyah came under pressure. According to the Syrian military sources, ISIS’ offensive was ill-prepared and ended as a disaster. 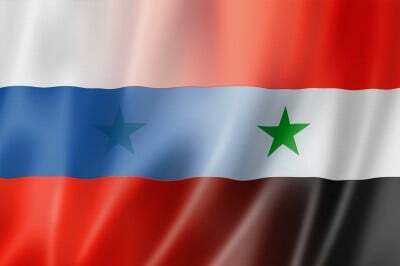 The militant forces were crushed by the Syrian Arab Army assisted by the Russian Air Forces. Russian warplanes played an integral role pounding the terrorist group with airstrikes. The Syrian Arab Army’s 42nd and 63rd Brigades of the 4th Mechanized Division supported by the NDF and the SSNP started an advance on Jabhat Al-Nusra, FSA and Harakat Ahrar Al-Sham at the village of ‘Ayn Al-Dawlah in the East Hills of Al-Zabadani. At the moment clashes are going at the village of ‘Ayn Al-Dawlah. The very same time, the SAA faced a group of ISIS militants at North of Al-Zabadani. The clashes are oing along the Qarah-Deir ‘Atiyah Road that leads to the imperative Damascus-Aleppo Highway. The fights were observed at the southern Damascus districts of Al-Taqadam, Yarmouk Camp, and Al-Tadamon. SAA launched a series of airstrikes against ISIS positions there. Then the Palestine Liberation Army (PLA) – in coordination with the Popular Front for the Liberation of Palestine-General Command (PFLP-GC), Fatah Al-Intifada, and the NDF carried out an attack against ISIS on 30th Street in the Yarmouk Camp District. Thus, it became clear that the Russain Aerospace Defence Forces were a game changer in Syria. The air-support allowed the Syrian government to go on offensive in a number of important areas and start preparation actions for the full-scale ground operation in Homs.